自1996年那次突然休克暈眩, 到醫院檢查時評為心律不整, 但找不到原因, 自此不斷看書及上網尋找可能性, 同時改變生活及飲食習慣及食用營養補充品, 學習不同幫助身體健康的各種方法, 包括中醫經絡穴位按摩, 太極拳… 期望不用藥物, 只採用自然的治療方法來維持身體健康. 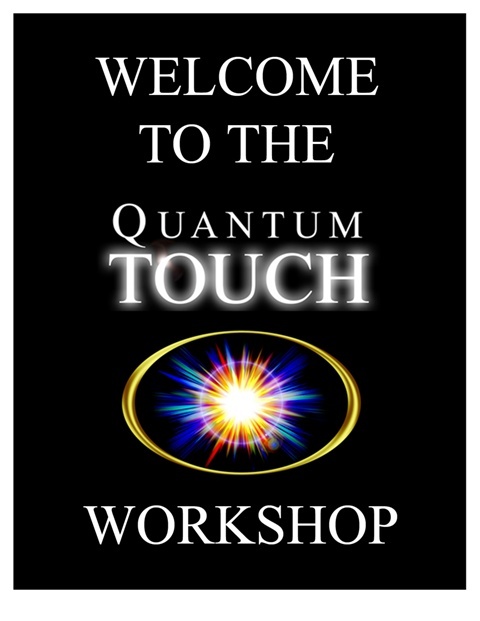 直至2009年, 遇到QUANTUM TOUCH, 學習了後每天練習及幫助身邊友好, 均能在短時間內將身體一些毛病解決, 更在年中時有機會在RICHARD GORDAN的工作坊進一步學習到一些新技巧, 令QUANTUM TOUCH更有效地發揮它的功能, 多年來都不時用來保健及幫助有需要的朋友. 至今, 期望能將QUANTUM TOUCH及各樣有效健康資訊分享給全球華人, 喚醒他們的自癒能力注入正能量, 遠離各種疾病及藥品的折磨, 得回身體健康, 快樂生活. Since 1996 that I have got the sudden shock of dizziness. To the hospital for examination, just found that commentary arrhythmia, but could not find the cause. After that, I kept constantly reading and via Internet looking for the possibility. Meanwhile, I changed my living and eating habits inclunding consumption of nutritional supplements at the same time. Try learning to help the bodyhealthy variety of methods, including meridian massage, tai chi … expect without drugs, using only natural treatment methods to maintain good health. 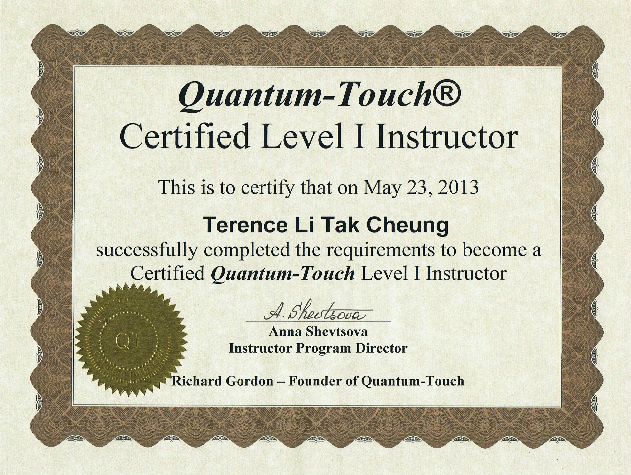 In 2009 encountered QUANTUM Touch, learned to practice every day and help around friendly. It can solve some of the problems of the body in a short period of time. In the middle of the year, I have the opportunity to learn some new skills in the workshop of Richard Gordan. QUANTUM Touch can performs its functions more effectively. So that I used to take care myself and help a friend in need over the years . 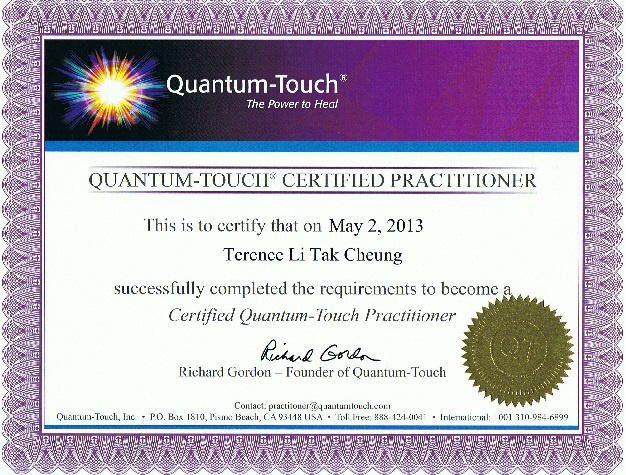 So far, to the Chinese people around the world, I expect to present Quantum Touch and every valid health information sharing, awaken their sense of self-healing ability to inject positive energy away from the torture of a variety of diseases and drugs, to get back to good health, happy life.